Tis’ the season to be jolly because it’s that time of the year again. Jingle bells, mistletoes, Santa Claus, and now, here comes the flu season too! Every year, we learn different news about new strains of flu viruses, government campaigns to control it, and new medicines to fight it. You may still think that flu is as simple as colds, but no, it is far more serious than that. Influenza or “flu” is a contagious illness caused by the Influenza virus that lives in the nose and throat. It can be transmitted when a person with flu sneezes and coughs the viruses off to the air. In some cases, it can also be spread just by standing close with an infected person or by speaking closely to them. Is it just as bad as colds? Contrary to popular belief, flu is different from colds because they are caused by two different agents. Cold is caused by rhinoviruses or coronaviruses, while flu is caused by Influenza virus. Although they may have same symptoms such as sneezing, runny or blocked nose, chills, fever, headache and general discomfort, flu symptoms are worse and can usually take a week or more. For individuals whose immune systems are weaker than normal (children, elderly, pregnant women or people with existing diseases), flu can be serious and even life-threatening. Flu is mostly spread via “droplet” and “contact” route. The droplet route is where the infected person coughs, sneezes, or talks and produces large amount of droplets which contains flu strains into the air. People nearby can then inhale these droplets and be infected. The “contact” route on the other hand involves either a contact between a non-infected person or an indirect contact with contaminated skin or surfaces. This is mostly common in public and crowded places such Christmas bazaars, shopping malls, parks, and transportation terminals. Once infected, the virus now spreads and ready to take all the fun from your Kris Kringle. One of the best ways to stop the flu is to prevent it from spreading. Cover your nose and mouth with a tissue every time you cough or sneeze. Then throw the used tissue in a waste basket. If you don’t have a tissue, sneeze or cough into your upper sleeve. Clean your hands often with soap and water or an alcohol-based cleaner. Stay at home whenever you are sick or avoid close contact with people who are sick, whenever possible. Maintain a healthy and balanced diet to strengthen your immune system and enjoy the delights of Christmas carols. Lastly, keep yourself armed with a flu shot. Vaccination is so important. 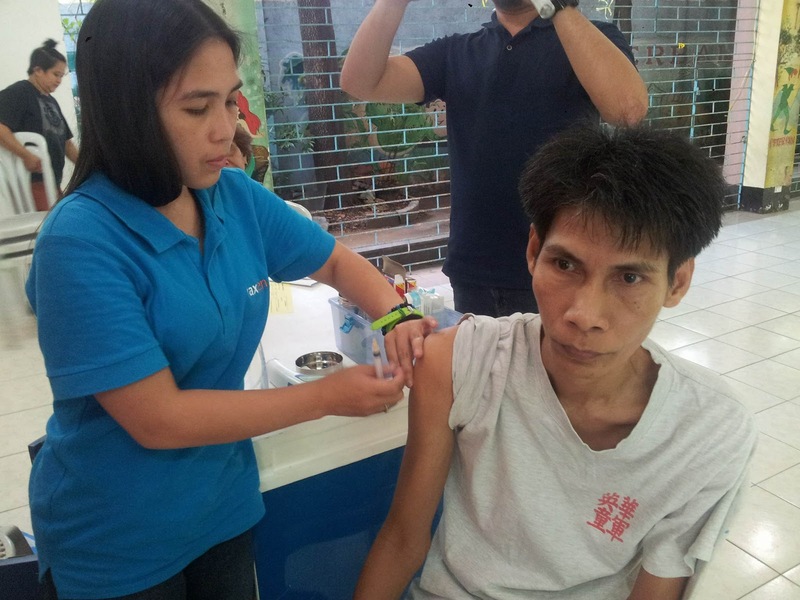 By being vaccinated, you are not only protecting yourself, but also those around you from diseases. This is because if you are already immunized, you cannot catch the disease and infect other people, even those who have not yet been vaccinated themselves. Not only does it give you immunization but also save you money from hospitalization and medication costs due to flu complications. So, is it fun being sick? No, not at all. Is it good to be sick for a very long time? Or is it better to have a quick flu-shot now? Don’t miss the fun this Christmas season, save the joys of these holidays by becoming flu-free. Glovax Biotech Corporation offers the “Piso Bakuna” providing affordable vaccines for the people as their corporate social responsibility project. 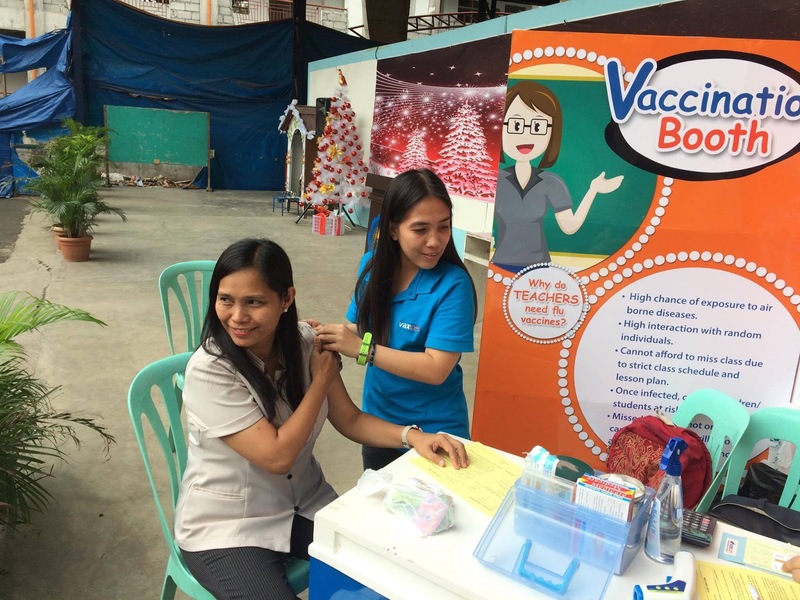 For only Php 360.00 per shot, through the Piso Bakuna campaign, people can enjoy more than 50% discount as compared to regular flu vaccines in the market. Aside from the discounts, they also offer free home service. 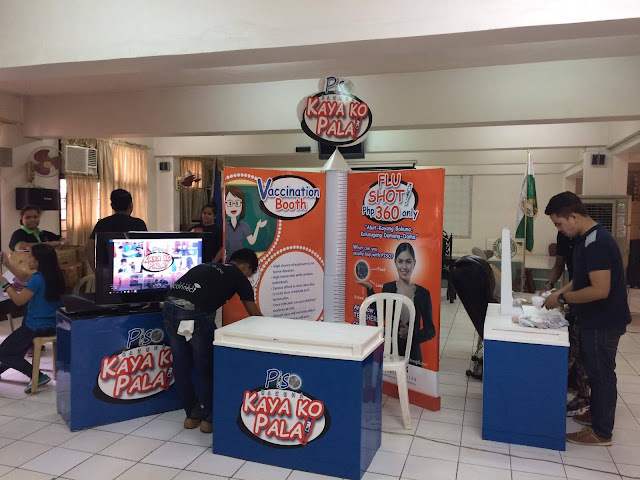 For more information about Glovax’s advocacies, interested parties may visit them at #7 Dr. Lazcano Street corner Mother Ignacia Avenue, Brgy. Paligsahan Quezon City; call (02) 351-8888 / (0917) 580-4823; email info@vaxcen.com / vaxcenate@vaxcen.com; or visit their website at www.pisobakuna.com / www.vaxcen.com and Facebook page at www.facebook.com/PisoBakunaSulongGuro.